Merry Printers were delighted to be asked to produce the new product brochure for Christopher Ward and Morgan Motor Company. 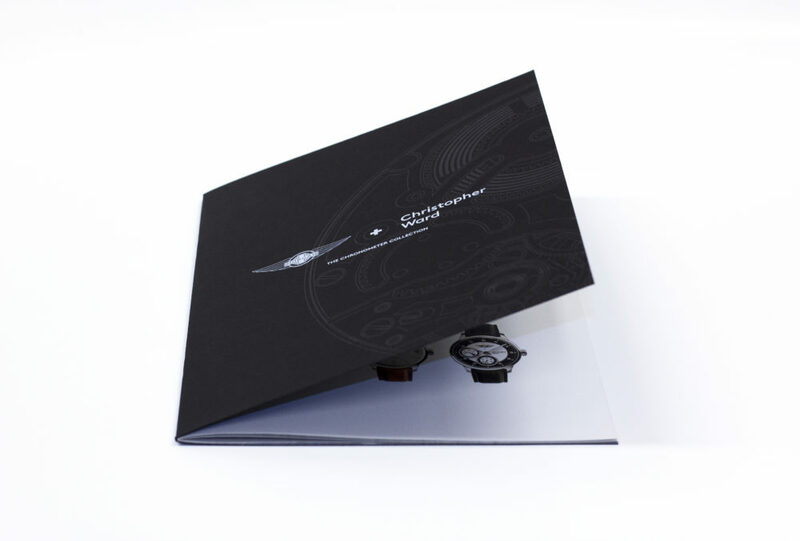 The brochure featured technically advanced Indigo digital white and clear ink print on black card covers. Simon Diffey delivered the job to the Geneva International Motor Show. He is photographed here with Morgan's MD Steve Morris alongside Master Watch Makers Johannes and Antoine from Christopher Ward.